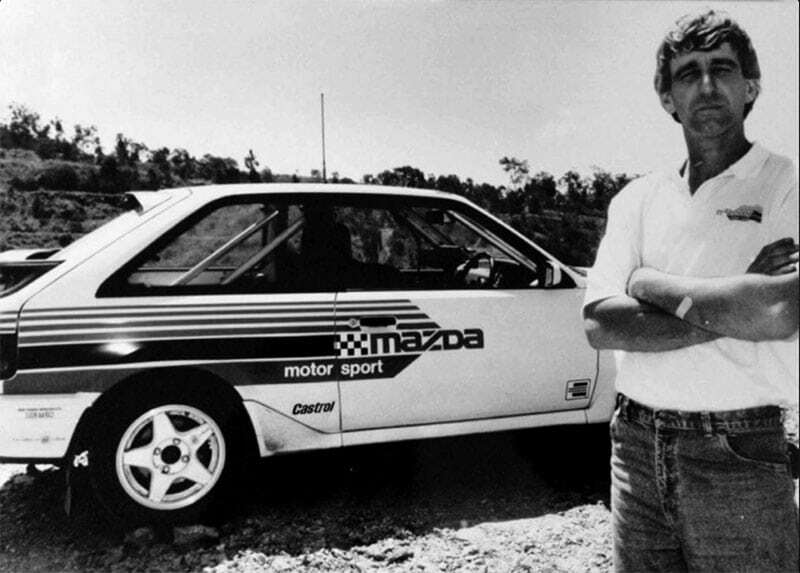 Murray Coote with his Mazda 323 Familia in 1989. Mazda Australia’s factory-backed 323 Familia that finished second in the 1989 Australian Rally Championship is currently up for sale. The car was driven by Queenslander Murray Coote in the 1989 title race, and was also driven to four Queensland Rally Championship titles. “This is a real piece of Australian rally history,” says current owner, Connor Oldham, on the advert on Gumtree. “The car has undergone a lot of work to bring it back up to a ready-to-rally standard. Coote and co-driver, Coral Taylor, finished second behind Greg Carr’s all-conquering Lancia Delta Integrale in the 1989 Australian Rally Championship. They managed three second places and two third places in 1989, with Carr winning five of the six rallies to win the title by 34 points. View the advert for Murray Coote’s Mazda 323 Familia HERE.